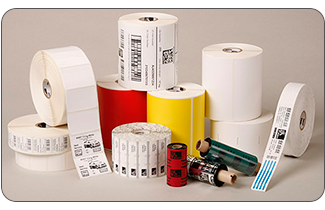 We have a huge selection of Labels and Printer Ribbons in stock, ready for immediate shipment. Call or email us today for our current inventory and discount pricing. We have labels for all types of printers. If we don't have the size you want in stock, we can produce it for you fast. We have hundreds of existing dies, in different sizes and shapes - all ready to go - to make whatever you need. Dot Matrix printers are still very popular, and we've got printer ribbons for all the top brands. Wax ribbons are the least expensive and most widely used. Wax/Resin combination ribbons give you an added level of image clarity, and a vast improvement in durability and smudge resistance. 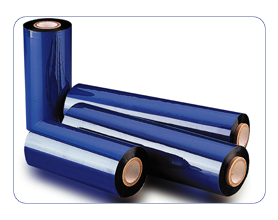 Full Resin ribbons are the ultimate in print quality, durability and smudge resistance. Yes, labels and ribbons are cheap and easy - but we also guarantee quality, consistency and reliability. So when you work with us, you just can't lose. Call and talk with one of our label and printer ribbon experts today. Or email us the specifications of what you need, and we'll give you a free quote. We may also have money saving alternative ideas for you.